nullfunction had the most liked content! Papa San... 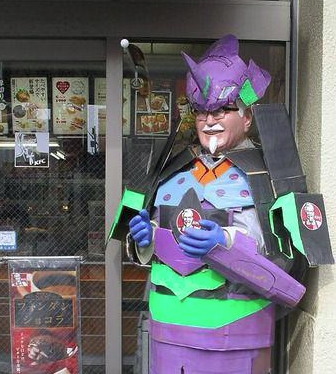 Colonel Va... screw it. Played this for a while with Pork and Gadstat. Had fun! It's still a little janky but it really surprised me with the depth and choices available to the player. Looks cool as heck.. Worth the price of admission? Can't edit my last post, but I made all three empires and threw it on the workshop, in case anyone wants to use them. http://steamcommunity.com/sharedfiles/filedetails/?id=690032521&searchtext=planetside I would be open to creating a GOTR-specific flag pack if people want to design custom flags for their races. I can see a hat + glasses flag for Buddahx being fun. I think what you did was fine and should even be encouraged. There was no agreement at the time to work together against the space penguins, the northern humans had been kind of standoffish against those of us south of the galactic core ("I don't know you!") and frankly Robo, Gigity and I put you in a weird position with that attack that you did a great job thwarting by releasing your vassal. I'm all for occasionally making "wildcard" move that shakes things up. That kind of thing is what keeps these games interesting. I don't want to automatically band together with all human players to eradicate the CPU players, because it rapidly becomes a game of "build the ships, invade the AI, kill all non-humans, win the game" and that just doesn't do it for me. I like this game a lot, but I find it ten times as fun in multiplayer because people are unpredictable. I'd much rather play a dynamic game where I'm guessing people's next moves. Personally, I think that due to the hot join ability, warring between humans (and the associated alliances and backstabbing) should be encouraged. If you get completely wiped out, you can come back in under a different empire who may or may not be in a better position to take revenge. One alliance of people continually ganging up on a single person is Not Fun and Not Cool in my book (borderline harassment), but I think that in the grand scheme of things you have to know that if you play a 4X game with other people online, eventually someone's going to come in and wreck your stuff! I am on board with the human players dropping whatever grudges they may have when an endgame crisis (robot rebellion/zerg/unbidden) arises, personally I'd resume hostilities once the threat is gone. Maybe the fight to purge the galaxy of whatever threat left my neighbor vulnerable and I really want that Betharian stone! I guess what I'm trying to say is play to your Ethos that you selected (or inherited) when the game starts. If you're a fanatic militarist xenophobe, play like one! I'd be OK allowing the "core players" that started the game to dictate the schedule when the game is started, or by consensus once the game has begun. If you want to hot join, you should either be OK with the schedule proposed at the outset or OK with the AI running your empire when you can't make it. I think the "core players" should be those who started the game, but moving forward, I think new game starts should be announced ahead of time on the forum. Otherwise, additional players never have a chance to become part of that core group. This game is a lot of fun. If we have people interested, maybe we can get a MP game going? Logged into Teamspeak Empty channels once again Why are you ded gaem? EDIT: To contribute... I spawned at the Governor's mansion and ran all the way to Crescent Reach. In the course of doing so, I picked up tons of stuff but at least a few (or in some cases, a lot) of each ammo type, but sadly no backpack. I saw one jeep and one player in the course of the entire journey. I'm logged out in one of the houses, let me know when people are playing so I can offload some of this stuff -- I'm full. Yeah, after a wipe seems to be the ideal time to get something started up. I believe the working MFDs are part of RasterPropMonitor. It's a pretty fantastic mod that shows off what the community is capable of. I'm still around, and still keeping an eye on the 1.1 and 1.2 releases. If you want to update the server for 1.0.5, I can absolutely make that happen. Dang man. Stay in touch? We'll be here. The server is still up, but I haven't had a ton of time to play KSP. I've been eagerly awaiting KSP 1.1 and the move to Unity 5. I'm OK waiting for a bit until the game is in a better place. I'd like to pick up the main survival part of the game too, so if they can fix the building permissions October should be a good month. Hey guys, I'm bringing down the KMP Server the weekend of August 15 and 16 for some system upgrades, patching, and general maintenance. I'll be performing a backup of the KMP universe prior to the maintenance, but please refrain from logging in on these days. Let me know if you have any questions. Thanks! http://www.reddit.com/r/h1z1/comments/3ey4p1/5_man_team_br_is_now_live/ Anyone want to set up a time once the post-patch stuff settles and get down on this? I'd like to have 5 Ghosts, so we don't have to deal with randoms being teamed with us. Thursday after raid or Sunday is usually the best timing for me.